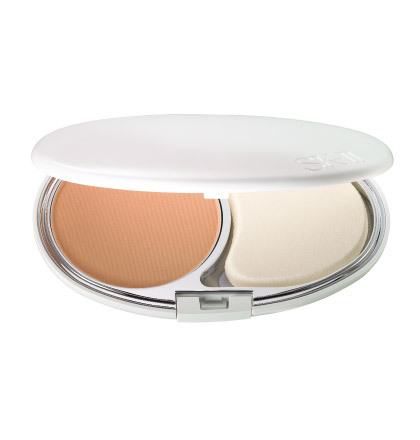 This brightening powder foundation is enriched with both Aura-White Cocktail E and Moist Coat Fine Powder to moisturize, protect and instantly enhance your complexion. The brightening properties give you a flawless aura-bright finish while the ultra fine powders even out your skin to reveal a fresh youthful glow. Delicately light and sheer, the pancake gives lasting smooth coverage. After your makeup base, use the buff to apply a small portion onto your face. 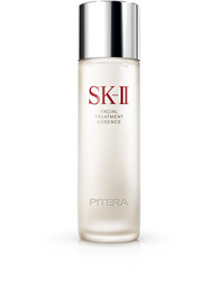 Spread lightly across your forehead, cheeks and jawline for an all-round natural radiance.